Normally in a situation where a game we’ve reviewed in the past gets an updated version on a new console, we’d simply republish the original review with some notes on any significant differences. 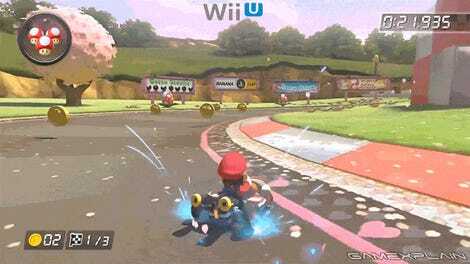 The Mario Kart 8 situation is a little different. The original came out on the Nintendo Wii U, a console that tried real hard but was never really a huge mainstream success. Conversely, Nintendo is calling the Switch its fastest selling console ever, with more than 2.5 million sold worldwide in under a month. There’s a whole new audience flocking to Nintendo’s new hybrid console, and they’re going to need a racing game to play once they’re finished with all of that Zelda. This is that game. 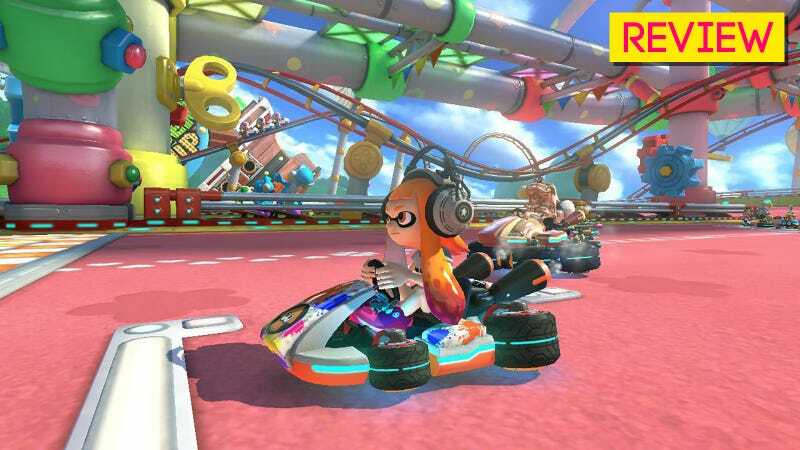 From what I can tell from the meager time I’ve spent playing online in the hours since Mario Kart 8 Deluxe’s launch, the online multiplayer is just as solid as it’s ever been. I’ve had no problems connecting to a race, though I have encountered problems winning one. Setting up a private room to play with friends makes the Switch’s lack of online communication features painfully apparent, but at least it’s easy to get started once you’re all together. The original Mario Kart 8's online racing was fine, but one aspect of multiplayer fell flat. Mario Kart 8 Deluxe’s biggest improvement comes in its new Battle Mode. Rather than try to shoehorn different game types onto existing tracks, the new version gives players eight brand new arenas to play in. And instead of just popping each other’s balloons, players are now bombing the living hell out of each other’s balloons in Bob-Omb Blast, desperately trying to keep possession of the titular treasure of Shine Thief, collecting coins in Coin Runners and playing cops and robbers in Renegade Roundup. With these new additions, Battle Mode has transformed from “borderline unplayable” to all I want to play. I might not be the best racer in the world, but I know a thing or two about tossing bombs at passing karts. Yeah, I really like the Squid Girl. So while much of Mario Kart 8 remains the same in Mario Kart 8 Deluxe, Battle Mode has given me a whole new way to play and enjoy the game. I can’t wait to pick up a couple of extra Joy-Cons so I can play four-player splitscreen on a single tiny tablet. 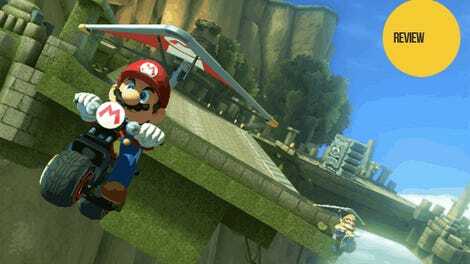 If you have played Mario Kart 8, don’t expect a lot of major changes outside of Battle Mode. The ability to carry two power-ups at once is nice but doesn’t make a massive difference. The already lush graphics look the same as they ever have to the naked eye, though the Switch tablet display really makes them pop. Mario Kart TV is still a thing, for those who enjoy flipping through highlight reels of past races, and it’s still not as robust a tool as I would have liked. If it’s not broke, don’t fix it. Part of the original Mario Kart 8 was broken, and Nintendo fixed it in Mario Kart 8 Deluxe, giving an already spectacular game substantial new legs. As for those of you new to Mario Kart 8, you’re showing up to the party at exactly the right time. We were just about to tap the keg. Leave your kart keys in the basket by the door and get on in here.